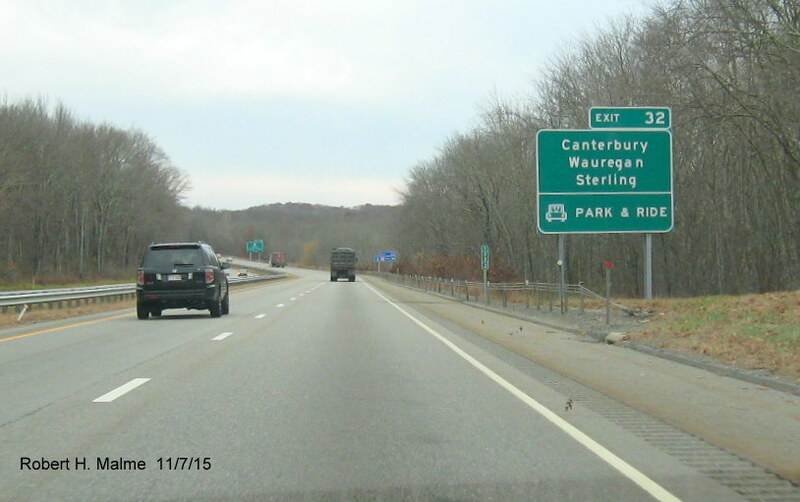 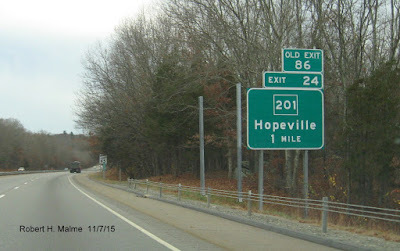 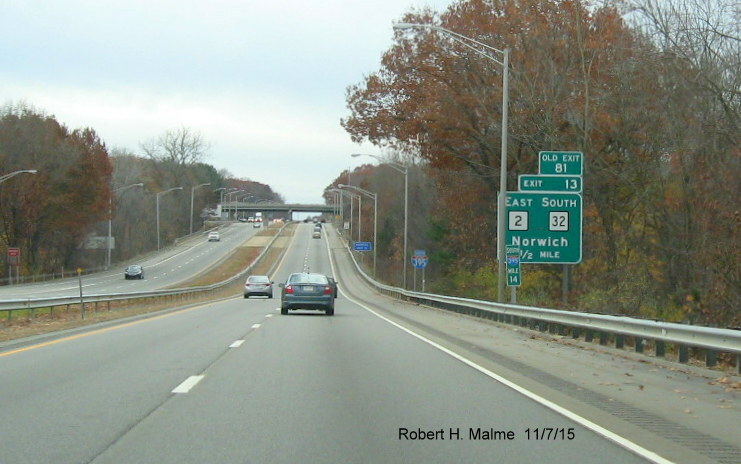 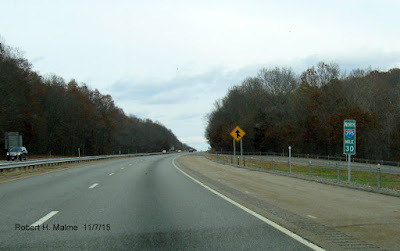 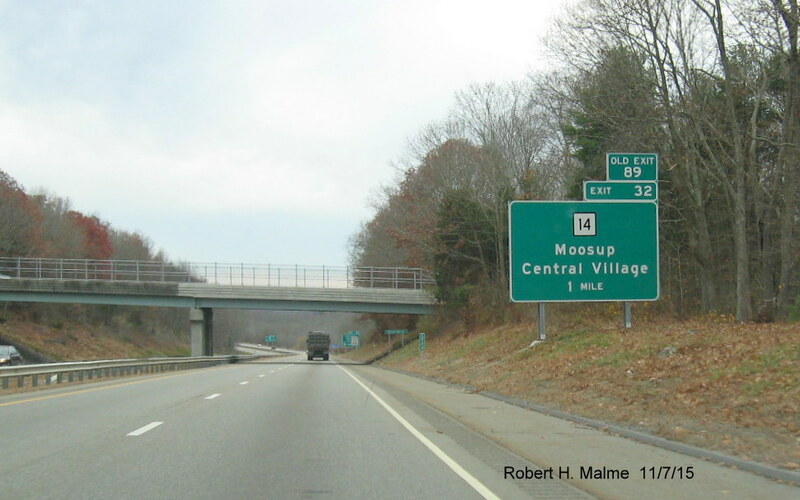 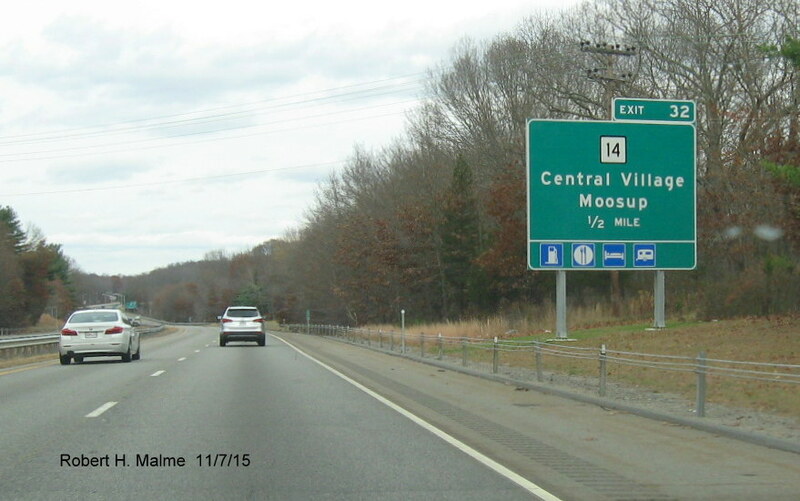 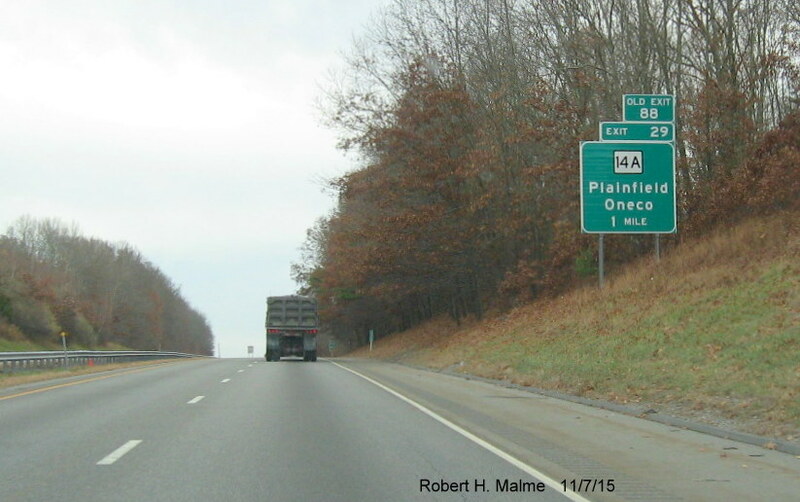 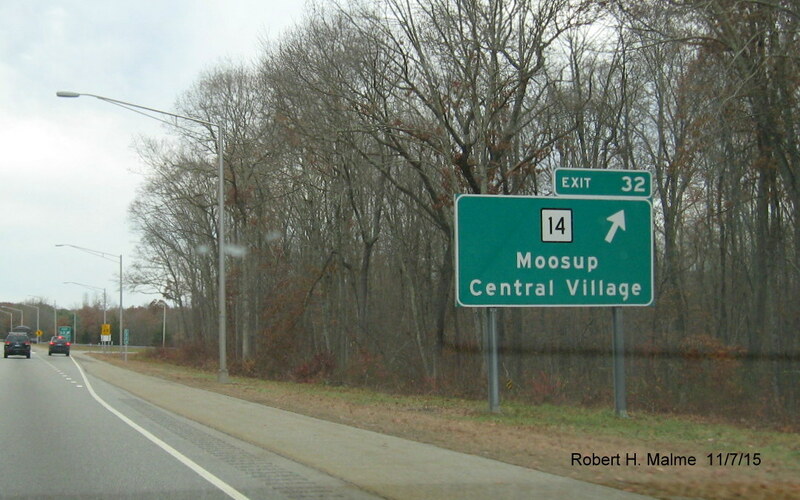 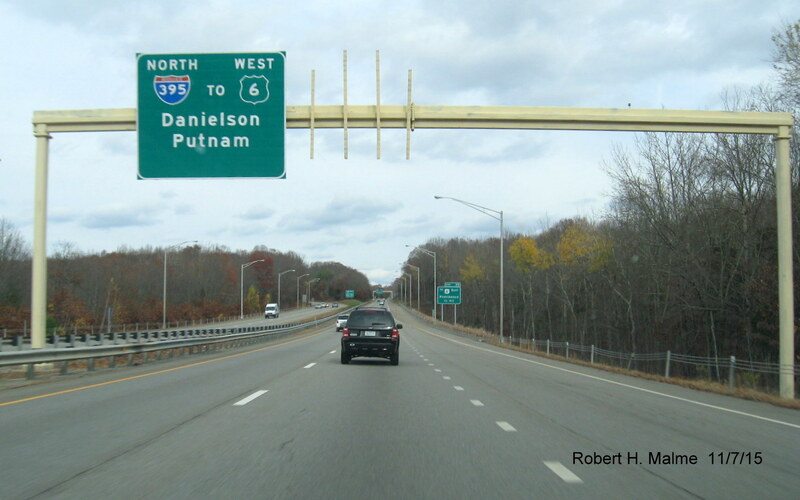 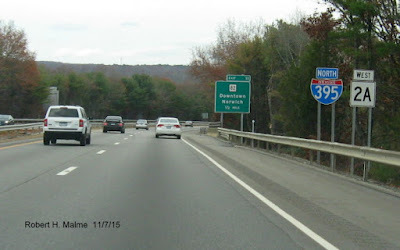 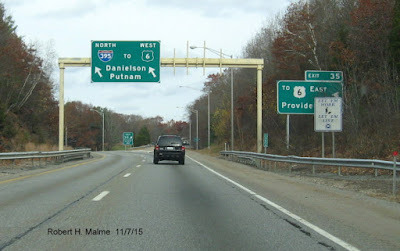 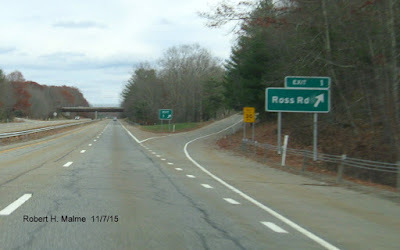 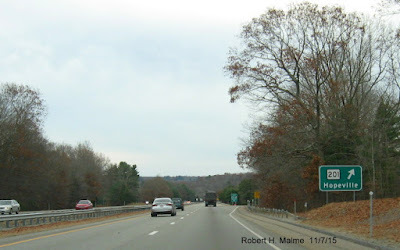 Got a chance this past Saturday to drive along Connecticut's I-395 from where the route joins the original Connecticut Turnpike, that is secretly designated (not signed) as CT 695 to where CT 2A leaves the interstate south of Norwich. 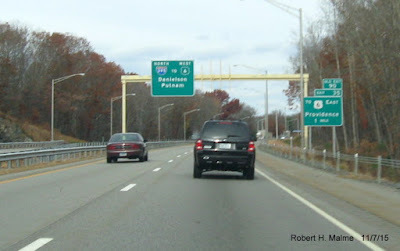 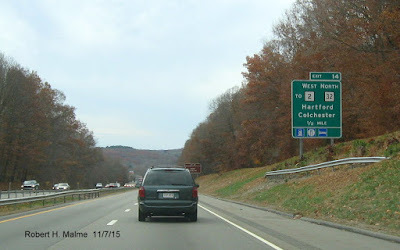 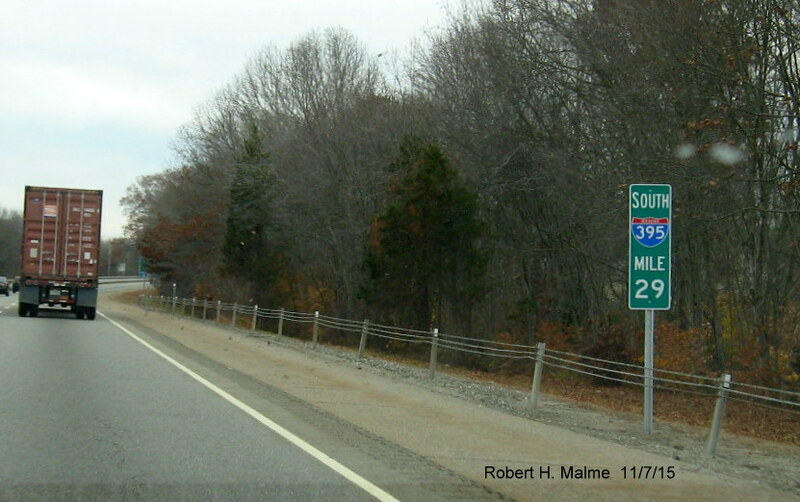 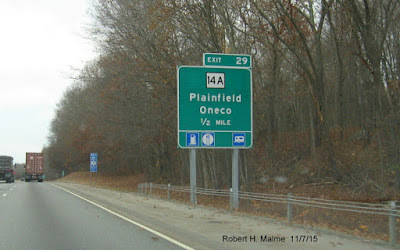 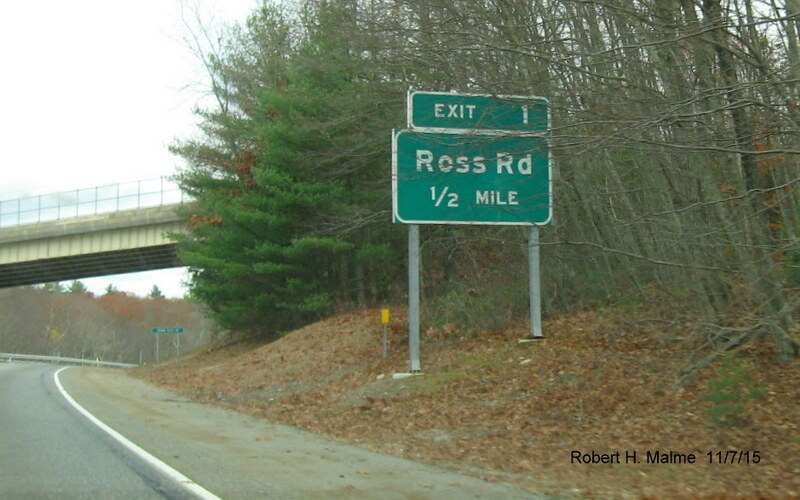 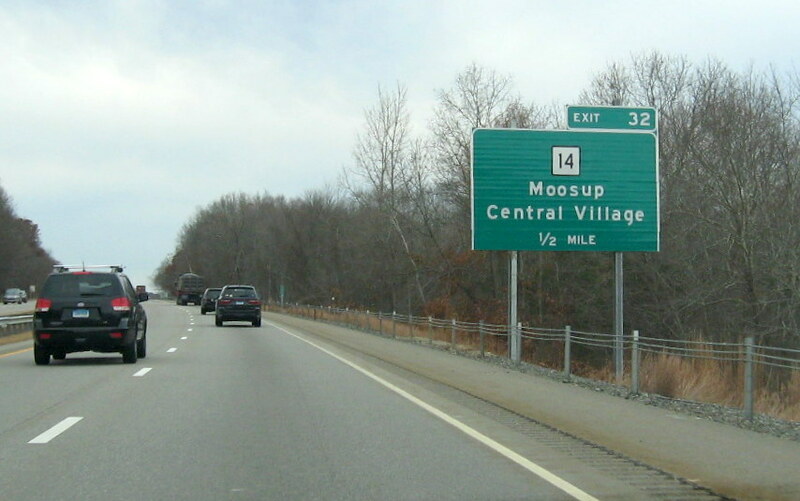 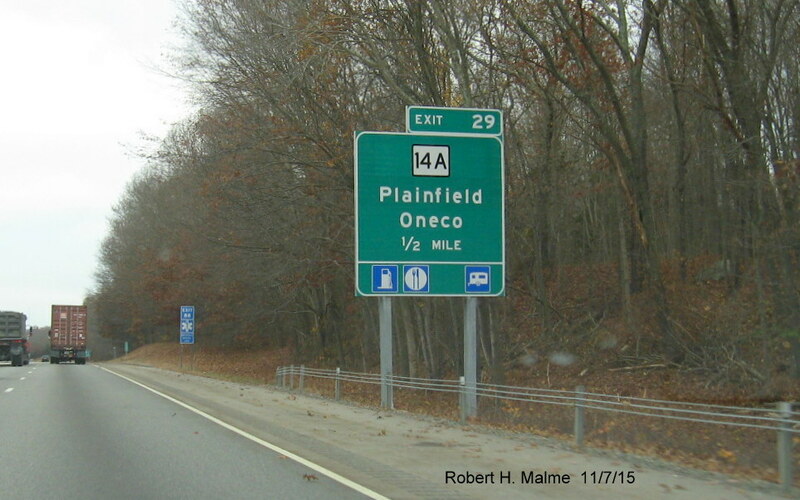 I-395 is the first freeway to be given milepost-based exit numbers by the State of Connecticut (along with CT 2A and CT 695). The original numbers run from 77 to 100 and are those of the Connecticut Turnpike (up to 90) which start at the New York border The new numbers will run from 2 to 53. 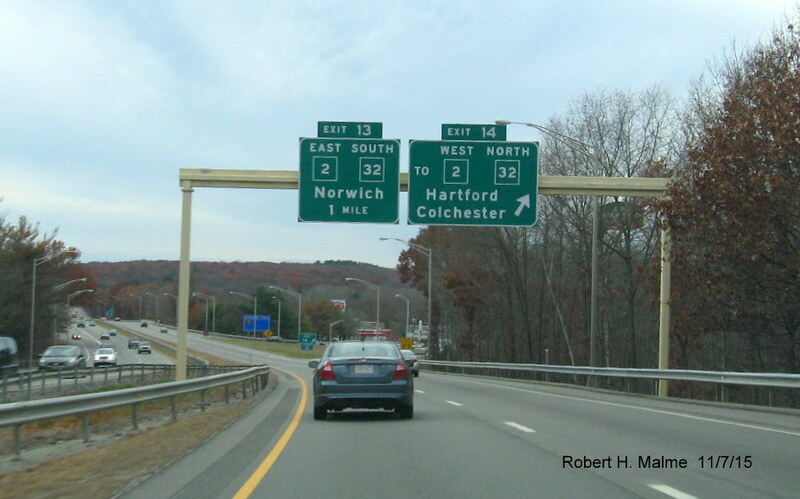 The state's plan is to convert the rest of its freeways over the next 10-20 years as part of exit sign replacement contracts. 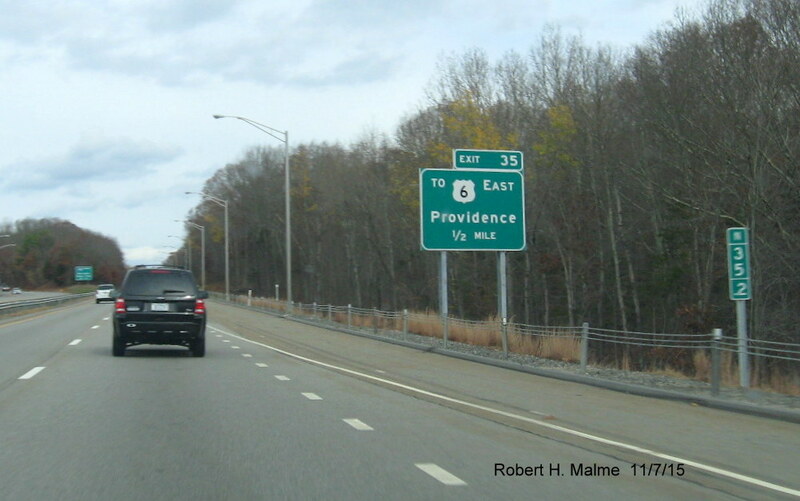 The I-395 project was split in two with the first section to be started that between I-95 and old Exit 88. 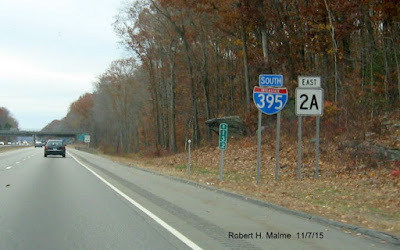 Many photos have already been taken of signs along this section, check out Jay Hogan's I-395 Flickr Page. 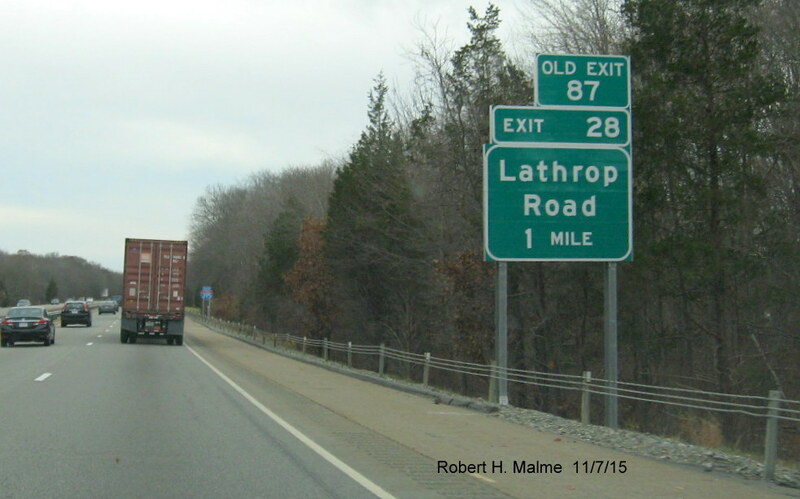 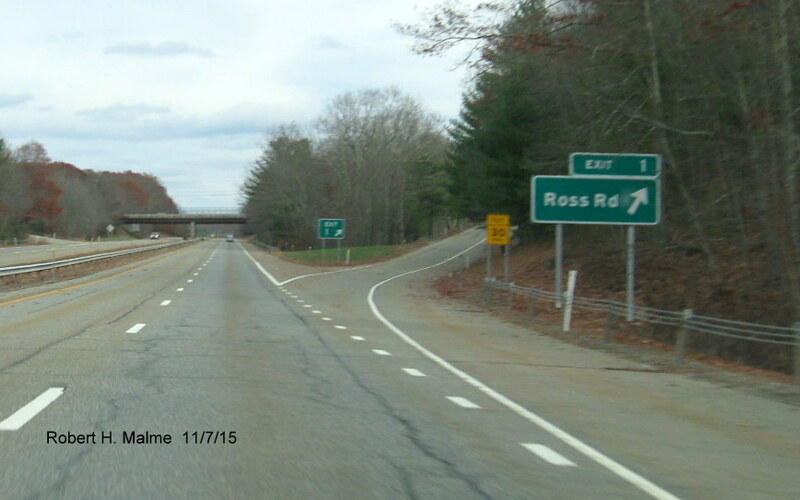 Here are some of the photos taken of new exit signs and numbers north of Exit 88. 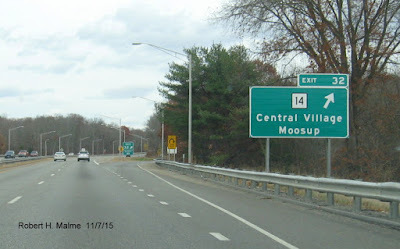 Hopefully, they'll cut back some brush and move the sign in front. They've also replace the exit signs after the off-ramp on SR 695, photos below. With the new number/old number gore sign in the background. Here's some additional photos taken mostly southbound of signs from the first phase of the project that have not appeared elsewhere online. In this case, the new sign hasn't been installed but the new Exit and Former Exit tabs have been placed on the existing sign. As always, excellent photos Bob. 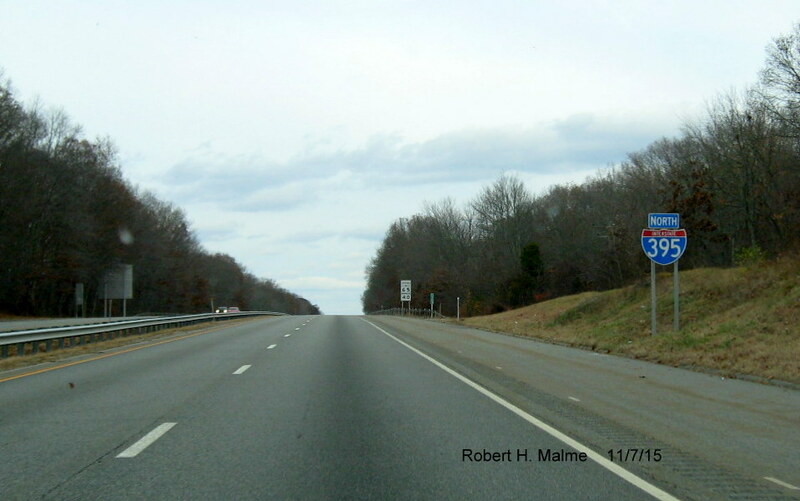 And many of them prove one problem with going from overhead to ground-mounted panels - the need to do periodic clearing and grubbing of the roadside brush.